It’s that time of year again when leaves begin to turn an Autumn orange, the breeze blows cooler and crisper, boats get wrapped, and the MLB regular season winds down. This year, we find that our beloved Minnesota Twins are planning for the offseason, instead of the postseason. But do not fret because we’ve got an early Halloween treat that should hold you over until spring training (no trick needed). Keith Beise, Social Media Coordinator for the Minnesota Twins, pitches a complete game for us, with insights into what it’s like to be on the Twins All-Star marketing team. Hello Keith, Can you tell us a about yourself and your current role? Sure, I grew up in the Forest Lake, Minn. area, spent five years active duty in the Marine Corps after high school, graduated from the University of Minnesota School of Journalism and was fortunate enough to start a role with the Twins shortly after graduation. As the Social Media Coordinator for the Twins, it’s my job to execute the day to day social media postings for the Twins, as well as plan for long-term promotions and social strategies. What does a typical day look like as a Social Media Coordinator for the Twins? The best part of my job is that there is no typical day. Of course I head into each day with a plan of what needs to get done, but things can really pop up at any time. I work very closely with Major League Baseball Advanced Media to ensure that proper content is sent across all the Twins social platforms in a correct, timely and engaging way. If one player on the team could run the Twins social channels for a day, who would you “put in the game” and why? It would have to be our closer Glen Perkins (@Glen_Perkins). He’s a humorous guy and it certainly shows on his own Twitter account. It would be a really fun off-season promotion to have him do a Twitter takeover for a day. Which Twin has the most social clout? Trevor Plouffe has the most Twitter followers of any player currently on our MLB roster (@TPlouffe24, 28,000). Perkins has a large following as well with more than 23,000 followers. How does the team’s winning and losing affect the response that you review from social fans? Fans are very sensitive to how the product on the field performs. If the Twins go on a winning streak fans become much more engaged and we’ll begin to add a few extra posts across our social networks about buying tickets and general fan interests, but on the reverse side if team play isn’t so hot we’ll begin to limit our social voice. However, that doesn’t mean team play completely dictates our social approach. We have dozens of social sweeps and contests throughout the year to promote fan interaction, ranging from simple #TwinsTrivia contests on Twitter to large-scale surveys that fans fill out for a chance to win an invite to our Deckstravaganza, an event we throw twice a season to bring some of the Twin Cities biggest social influencers up to the Twins private balcony to network and watch a game. I also can’t overstate what fantastic resource Target Field is for social promotion. Even when team play is down, I can still get a lot of positive reaction from the public on nice summer days of how fantastic it is to come enjoy outdoor baseball at Target Field. How is your approach to Google+ different than other social channels? Our efforts on Google+ are centered around SEO. We will almost never post something that does not link to Twinsbaseball.com, and ideally if we’re able to create posts on Google+ that match what a user is looking for, it will hopefully take them directly to the page on our website they are hoping to reach. Does your social content strategy vary in-season, during the post-season and in the off-season? Naturally there will be some fluctuation in activity between during the season and the offseason, but not as much as people think. With a 162 game season, there’s no shortage of things to post during the season, whether it’s game recaps, upcoming promotions at the ballpark or a number of other things that come up during the season. A lot of my work during the season is to make sure I know what will need to be posted over the course of a game day and then spacing it out over time so social posts aren’t directly overlapping each other. When the season ends, our players almost immediately begin to prepare for the next season, and we do the exact same. We’ll look at what worked well last season, what didn’t work and what we’d like to see next season and begin creating a calendar to lay out timing. 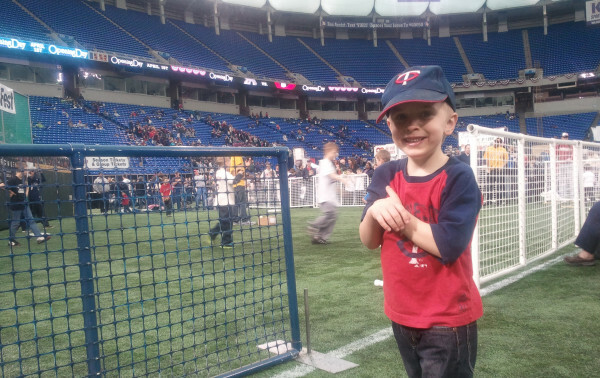 Do you train and empower players and other Twins staff to be socially responsible? 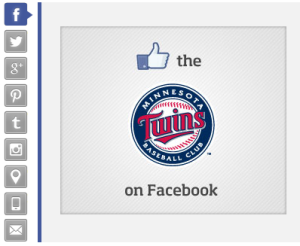 Yes, MLB and the Twins have social media policies for both players and front office staff. The policies come together to essentially say: Don’t release any team-sensitive content on your personal social accounts, and simply be smart about anything you say on social because it can reflect on the team. We also want our employees to know how to properly use any social media outlet. For instance last offseason I gave a class to the Twins front office on how to create and use a Twitter account. I make myself readily available to anyone in the organization with questions on how to use a social network. What has been one of your biggest surprises from social interaction with fans? The biggest surprise I’ve encountered is how fans react to social contests that involve physical locations. Last season I held a contest called #100TixFor100k on Twitter in which once we reached 100,000 followers we were going to give away 100 tickets. When we reached that mark I set up a scavenger hunt across Minneapolis in which I simultaneously sent out pictures of five locations and the first five people to find the Twins rep (intern) at each location won a four-pack of tickets. The campaign was a huge success as we had people sprinting all over downtown trying to win the tickets. The whole thing lasted only eight minutes before the tickets were gone. However, I received a large backlash from out of town fans upset that they didn’t have a chance to win. So much so that I had to create several posts to remind fans of all the contests and sweeps that we run (on average 1-2 per week) that can be won by fans anywhere. I still didn’t take the reaction as much more than a vocal minority and it hasn’t stopped me from running physical-based contests since. There would never be a way to please everyone, if I went to Saint Cloud and ran a contest, the people in Rochester would be upset and so forth. What social media channel provides you with your best engagement? There are three answers to this question. Facebook has by far our largest audience with more than 815,000 fans, so it has the ability for the biggest reach. However the percent of fans that any given post will reach can be somewhat limited. By a direct percent of followers to engagers, Instagram is our most engaged outlet considering that we have 20,000 followers and a typical photo will average about 1,000 likes. I’m usually pleased if any post on our Facebook page, with more than 40 times the fans, reaches 1,000 likes. However, if we’re talking about engagement as more than just liking a post, Twitter is the social outlet where I can get the most action taken by fans. A typical #TwinsTrivia question (typically run on Tuesdays) will get between 400-1000 responses over a two hour period, and it requires fans to look up information (or cheat and click the hashtag to see everyone else’s answer) and write it out, rather than just click a button. Are there specific forms of social media content that you see higher engagement from? Contests and sweeps will always get more fan engagement simply because fans have something to gain from their involvement. Posing questions in social posts will get more response, but it also opens up getting responses you may not like, so I’m very careful if I ever ask an open-ended question on social. Otherwise it’s simply positive content about winning games or having a beautiful day at Target Field that will see the most engagement. Does social media play a role in customer service, and if so, how? Absolutely, I think one of biggest roles social media has developed is allowing consumers to have direct access to ask questions to businesses, and for businesses to be able to respond. We certainly get our share of things yelled at us that we have to let go in one hear and out the other, but when fans have legitimate questions we do everything we can to get them answered. One of the things we did last year was set up a Social Media Advisory Committee, where one person for each department is the designated liaison for social media. If I come across a question I don’t have an answer to, I can go to the person in the corresponding department to find the answer. Have you been able to correlate and social media activities with box office sales or even television viewers? We’re able to track on Facebook and Twitter how social media posts have been able to convert revenue from ticket sales made on Twinsbaseball.com. Ticket sales made by those who came to the website from social posts have steadily grown in the last couple years and we think it will only continue to do so. Tracking social media correlations to television ratings has been difficult to achieve so far, but we continue to work with our broadcast partner Fox Sports North to use social media to create engaging content that corresponds with the broadcast. Do you create and publish content according to a schedule, if so, how do game times affect scheduling? There are certain times of the day on different days of the week where we find better results reaching our fans on social media, and there are times when we adjust that based on game times. On Twitter, I typically leave out any other social posts so that we’re ready to live tweet any in-game action. However, on other social networks, I often aim to post something as the game is getting underway to reach fans who are just sitting down to watch either at home or at the ballpark. Thanks for the great insights Keith. There is definitely a lot more that goes into coordinating social media efforts for the Twins than just hanging out on Twitter during games and eating hotdogs! We’ll be looking forward to more social media homeruns next season. Especially the 85th annual All-Star Game that the Twins are hosting at Target Field. 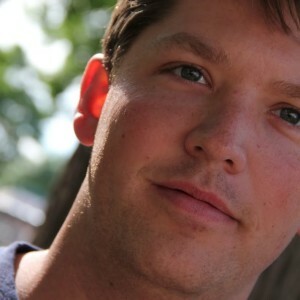 Keith is the Social Media Coordinator for the Minnesota Twins and has been with the team since January 2012. You can find him online hanging out on Google+, Twitter @KeithBeise, and LinkedIn. Don’t forget to checkout what the Minnesota Twins are doing in the Social Media Clubhouse and elsewhere online. Future Twins Social Media Team Member? James Svoboda, President of MnSearch, Partner at WebRanking, Marketing Land contributor, Which Test Won board advisor, and husband and father in Eden Prairie, MN. Connect with me on Google+, LinkedIn and Twitter.